Andhra Pradesh Fiber grid Project is racing towards start and it has got approval from central telecom ministry to to start the IPTV - Internet Protocol based Television network. As a part of this the telephones will have a 797 series phone numbers. 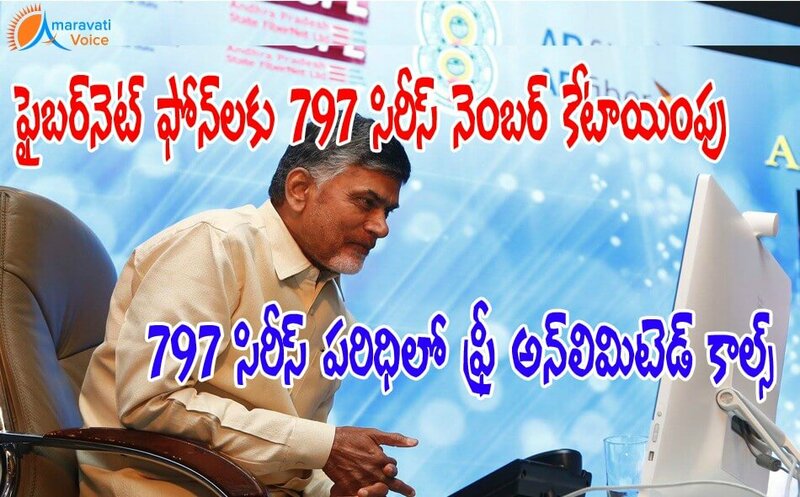 Andhra Pradesh is perhaps the first State to have obtained a telecom license and it can issue phone numbers starting with the ‘797’ series from August this year. With providing internet, 100 channels for Rs.150/- government is also looking to provide free telephone services. Another 5 numbers would be added to this 797 series and an 8 number phone number would be provided to the costumer. Government is also providing free unlimited calls between the 797 series phone number.